Tobago has always been special to us and very close to our hearts. We don’t just shoot weddings there but we have family and many friends there and have always had an affinity for the people and a special concern about the preservation and promotion of the values of Tobago. For a few years now, we’ve had a website specifically dedicated to just our Tobago Wedding Photography. One thing that we felt was missing from the promotion of Tobago as a wedding destination, was a single place that you could go to see the photographic possibilities and beauty of the island, specifically when it comes to weddings. Over the years and without us making much effort tobagoweddingphotography.com has garnered a following and strong position as a resource for Tobago specific wedding photography on the web. As a matter of fact, if you search the term “Tobago wedding photography” it comes up first (Having the exact term as the URL doesn’t hurt either). While this site only showcases Relate Studios photography, we do have plans to do something more for the promotion of weddings in Tobago in the near future. Recently we’ve not only upgraded the imagery on the site but we’ve redone the site infrastructure, to be HTML 5 based, responsive and fully mobile compatible & optimized. For those who are familiar with the old flash based site, you would notice that we maintained the colours and the basic feel but you’ll also notice how much faster it is and how well it works on your smart device. 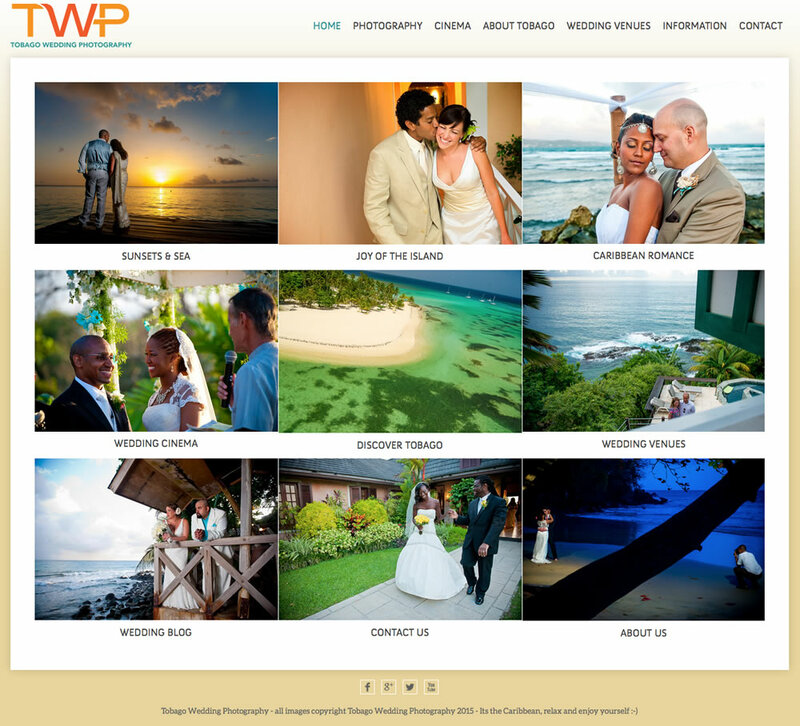 We’re still improving the galleries and working out some technical kinks but we felt it was time to launch the new tobagoweddingphotography.com or as we now affectionately refer to it;”TWP“. We do have plans to improve the site even more so follow us on social media to stay in the loop. ENJOY! © 2018 RELATE COMPANY. All Rights Reserved. Relate is an Independent Strategic Communications and Marketing Company based in Trinidad & Tobago, W.I. We provide Marketing, Branding, Video Production and Commercial Photography.